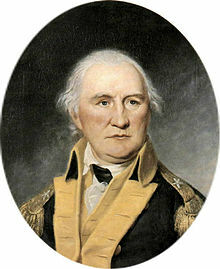 Daniel Morgan (July 6, 1736 – July 6, 1802) was an American pioneer, soldier, and United States Representative from Virginia. 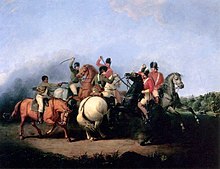 One of the most gifted battlefield tacticians of the American Revolutionary War, he won one of the most pivotal victories of that war at the Battle of Cowpens in 1781, and later commanded troops during the suppression of the Whiskey Rebellion. I believe in one God, the first and great cause of all goodness. I also believe in Jesus Christ the redeemer of the world. I also believe in the Holy gost the comforter— here perhaps we may Differ a little as I believe Jesus Christ was from eternity and a part of the godhead — was Detached by the Father to Do a certain piece of service whioh was to take on Human Nature, which Human Nature was to suffer Death for the redemption of Mankind and when that service was compleatly fulfilled that he returned to and was consolidated with the Godhead. I further believe that all that are saved must be saved through the merits of Christ. I believe the Holy gost to be a part of the Divinity of the Father & son coequal with both is left here to comfort all that Hunger & thirst after righteousness a spark of which inhabit the breast of mankind as a monitor. These are apart of my ideas on the subject of religion. This untutored son of the frontier was the only general in the American Revolution, on either side, to produce a significant original tactical thought.